Blue Host Web Hosting - The best hosting and unbeatable technology starting at only $3.95 / month. Domain Drop Catching - Use this Windows based software to automatically register expired domain names the second they delete! 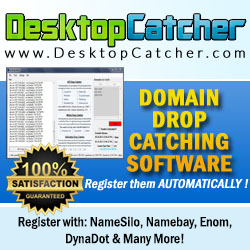 DesktopCatcher helps you search and register pending delete domains using existing API technology.